Dear readers, this is NOT a post about marketing; but it is SO worth sharing. Find below details about 2 programs that might benefit you greatly. Here's your chance to go to the US for an unforgettable experience. The TechGirls program brings teenage girls, 15-17 years old, from countries in the Middle East and North Africa to the United States in June-July 2012 for a three- to five-weeks. The goals of the TechGirls program are to provide a program of academic study of applied technology for girls who already have a demonstrated aptitude and strong interest in technology and to empower girls to pursue higher education and careers in technology. This exchange program focuses on promoting high-level study of technology by engaging girls in hands-on classes, labs, individual or team-based project design and development, mentoring experiences, visits to high tech companies in the United States, and more. We are looking for energetic applicants who are interested in developing their leadership and technology skills in order to become future leaders and experts in the field of technology. Musicians from all backgrounds and genres are encouraged to apply, with or without formal musical training. The U.S. Embassy will cover the cost of travel, room and board for musicians selected for the program. · Experience with or interest in developing ways to use music as a way to improve their communities. · Deadline for submission of CVs and work samples is January 31, 2012. Late or incomplete applications will not be considered. I know this post's title seems to be the title of a cynical gossip columnist. In reality, it is actually a post written by an inspired marketeer. Have you seen one of those Gina K outdoor advertisements around Lebanon? At first it gives the impression as though it is an ad that features May Hariri as a 'celebrity endorsement' for Gina K's bridal collection. The Brand name is there, the website, and the phone number... So what leads me to think otherwise? Look closely, had it been a question of celebrity endorsement, would the name of the single of May Hariri be written there? I understand that the artist's name be stated... But, the single's name? 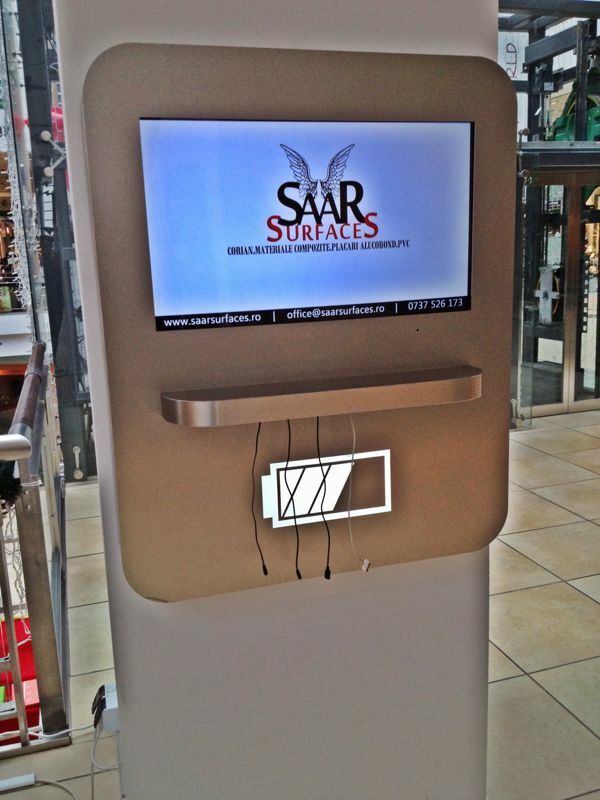 Is it a clear cut 'celebrity endorsement', or a mutually beneficial advertising deal? ...Or maybe it was an added 'condition' set by May Hariri to be featured in Gina K's Ads, who knows! It's not quite about the product, as it is about the way it is presented. I am not sure for how long this campaign has been going on, but if you have been to Starbucks in the past year or so, you must have noted the Ragheb Alama CDs on the cashier counter, or the advertising page that displays on their Wi-fi front page. 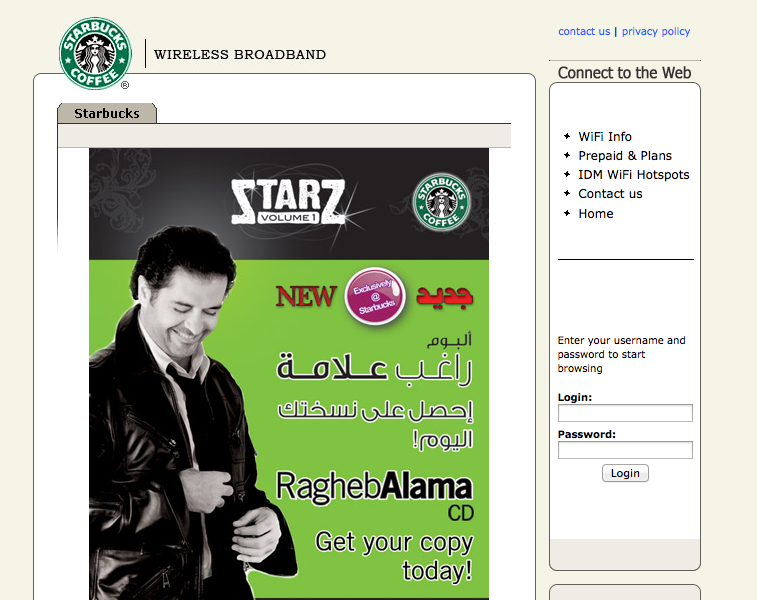 The Ragheb Alama CD on sale at Starbucks seems to have been launched on November 1st, 2010 (at Starbucks Hamra, for that matter). The campaign is based on a 5-years deal between the two parties, where the Lebanese singer was to present a blend of Western and Eastern music. The CD in question was to be sold, at first, "exclusively" at Starbucks, then made available at Virgin. 1- It runs over a long period of time, in the same outlets, targeting the same group of people, which is likely to produce a high "frequency". 2- It targets a, rather well-defined, specific group of people. 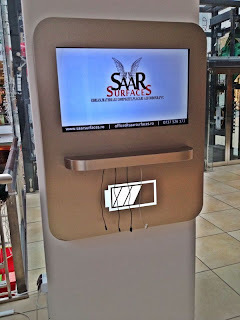 3- As a marketing initiative, comprising both the incentive to buy and the retail outlet, it has a higher likelihood to translate into sales. 4-It is quite an innovative and smart out-of-the-box approach to marketing. My only concern is whether it serves Starbucks as much as it does Ragheb Alama.